Were you ever able to find a solution to this? we use cognos at our company and I just “installed” the web parts to one of our sharepoint sites and immediately started seeing this issue the next morning. For now we are going to do like you did and just revert the web.config. We have decided that the move to SP2010 takes precedence. We’re going to complete that first and then evaluate the need for the webparts in question, and, if we do need them, determine if we see the same problem in the 2010 environment. If we do decide to go ahead with them in the SP2010 environment, I will be sure to report if we experience the same issue or not, and what resolution we come to if the problem still exists in 2010. Jim, Thanks for responding. 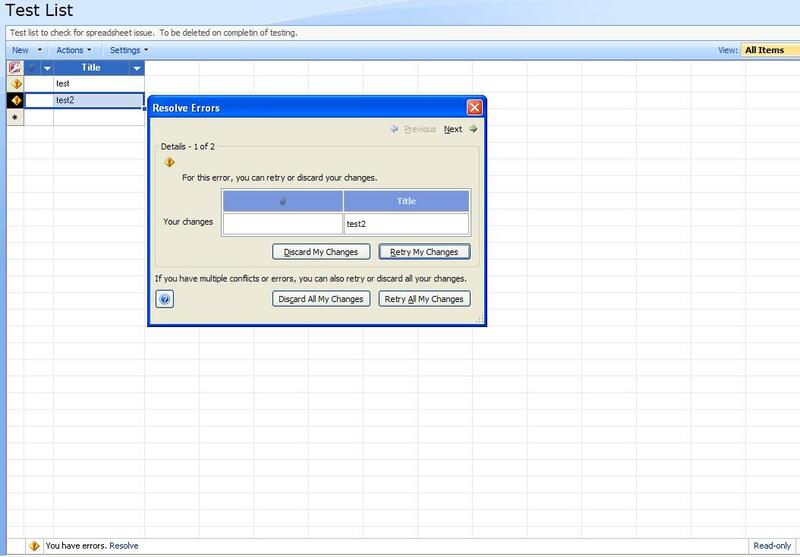 Our cognos application owner will be getting in touch with cognos on this issue. I hope they have better luck than you did in that regard. We currently have the web parts deployed to one of our web apps, however people don’t seem to use the features that the required web.config changes break in that web app. Honestly I’m appalled that cognos doesn’t have a deployable sharepoint solution for this addon but thats beside the point. Couple of other things that might help if you are planning to add Cognos webparts into your sharepoint 2007 environment. 2. If you have other custom webparts (like bamboo) you will not be able to use the wss_cognostrust.config. You will need to pick out what you need and add that to your trust file so you don’t break your other webparts. 3. Make sure that when you are doing this in your DEV environment that you are dealing with the same config as you will in production, amazing the amount of the things break. I still haven’t got the soap piece fixed. I actually just removed it and called it day because the functionality I was looking for worked without. How can you fix this particular problem without the web.config file? 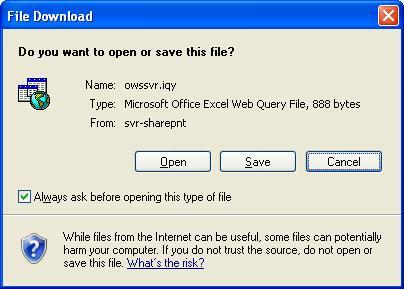 I am having the “Excel cannot connect to Sharepoint file”. But I cannot locate the web.config file on any of the local computers that are having the problem. One of the computers that can export the file I am not sure if he has that file on his computer. The web.config file is on the SharePoint server. If some but not all of your users are experiencing the problem, then the web.config isn’t your issue. The web.config problem will affect all of the users. At our end the issue is that, when we edit the records in Datasheet view then then update for the some records works fine but for the few records it gives the Unexpected error. And display the same Resolve Error Box. But as we said that the Error is Unexpected. Any help will be appreciated, if you can give us some clue. Is it always the same list items that generate errors? If so, what is different about them? Can they be edited normally? Is anyone else trying to edit the items at the same time? Hopefully these ideas may help you get to the answers you need. I’d love to hear back when you find a solution! I suggest remove tag in the in the webconfig file. That was what we ended up doing, then our migration into 2010 took precedence over continuing to work a solution in order to add the Cognos webparts. One reader said they were able to remove the line in the config file and still get the functionality they needed. but we had never gotten the Cognos web parts successfully configured.